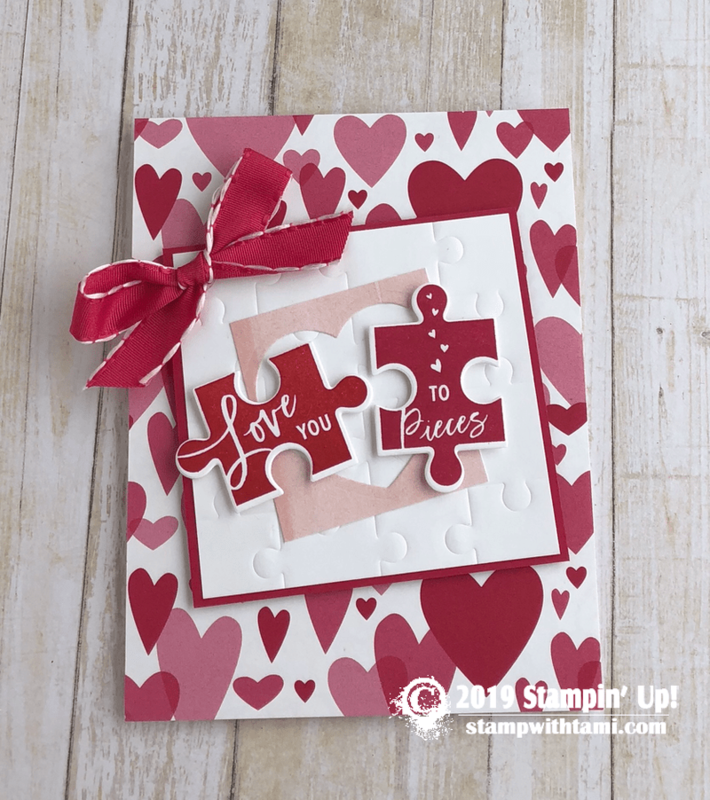 “Love you to pieces” puzzle Valentine’s day card idea from the Stampin’ Up! Love You to Pieces Bundle (stamp set and Puzzle Pieces dies). The background hearts are from the All of My Love DSP. With a hint of Tropical Escape DSP (heart cut out). The ribbon is part of the All of My Love Combo Pack. Such a beautiful card. Colors are so crisp! I love that! Cute card! Love the puzzle pieces!